NEW ORLEANS, March 21, 2018 — No doubt about it, ice cream is a great treat on a hot day. That is, until it drips down the sides of a cone or turns into soup in a bowl. Now scientists say they are closing in on a cool solution to this sticky problem. They’ve found that adding tiny cellulose fibers extracted from banana plant waste to ice cream could slow melting, increase shelf life and potentially replace fats used to make the tasty treat. 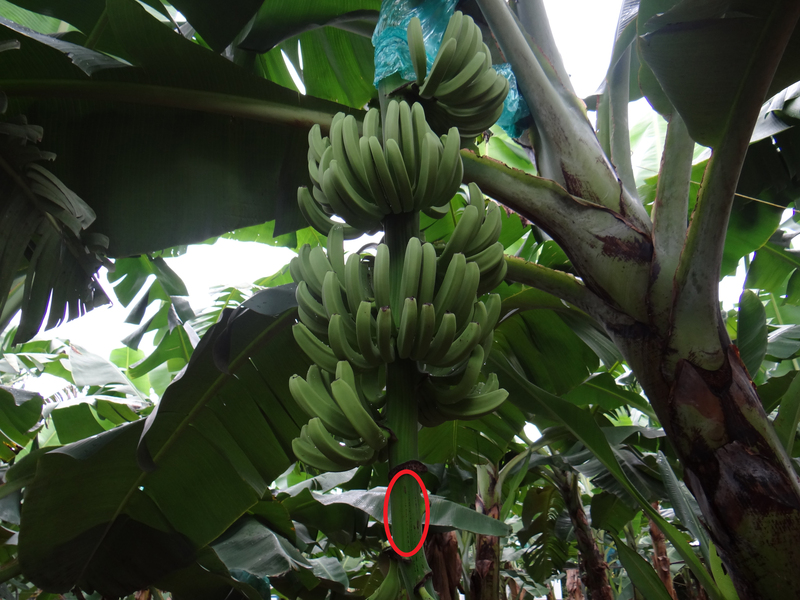 Tiny fibers extracted from banana plant rachis (circled) could help slow ice cream melting.